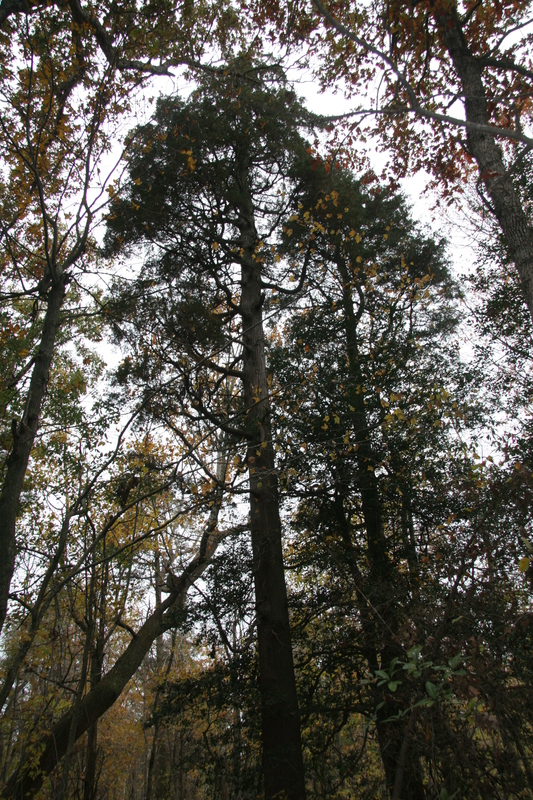 Though not a true cedar (really a cypress), this conifer is often found adjacent to streams and in wet, boggy areas, particularly in southern Delaware. Its wood is light, soft, fragrant, durable, and is often used for boats, shingles, and decoys. This columnar-shaped tree has bluish-green leaves. Seldom seen in most areas, it does well in gardens but also has appeal for wetland reclamation purposes. It is not as common as it once was due to stream drainage and channelization. Atlantic white-cedar has flat and scale-like leaves. Its thin bark and leaves are prone to fire damage and its shallow roots make it vulnerable to high winds.